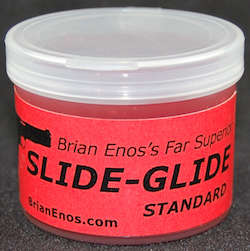 Slide-Glide is a uniquely formulated lubricant that improves function and virtually eliminates wear and corrosion. It softens “felt recoil” in semi-auto firearms, especially pistols. 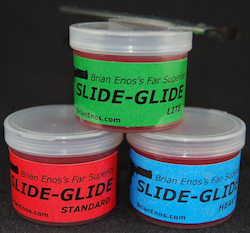 Save 10% – 20% by ordering two or more of all my Slide-Glide products. And, you do not have to be a dealer to get dealer pricing on my Dealers Page. Softens felt recoil in semi-autos. Provides a dramatic improvement in lubrication compared to conventional oils and greases such as lithium, or lithium-based metallic greases containing molybdenum or graphite. 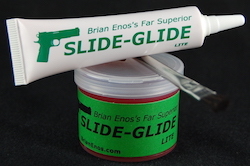 With three viscosities, there is a viscosity of Slide-Glide that will improve the operation of any firearm, tool, or machine. 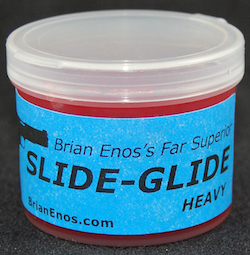 Click here for the motherload of Glide info. 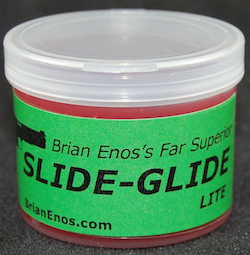 View cart “Slide-Glide Gun Lube, Standard, Tub, 2 oz.” has been added to your cart.